We are a real estate service provider for all of your property needs. Our focus is the conservation and the sustainable increase in value of the properties entrusted to us. 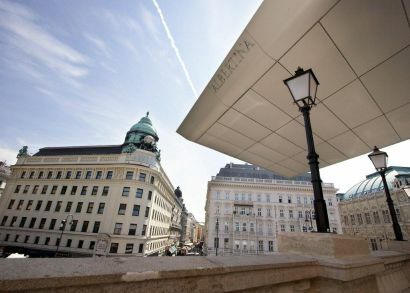 Our team of experts manages rental housing, condominiums, office and commercial properties, as well as individual apartments in the greater Vienna area. Our goal is to solve your concerns at all times, in the best possible way. We provide all the necessary and appropriate services for the management, conservation, maintenance, as well as the improvement and renovation of our customers’ properties. We provide professional and fast processing, and our property managers are constantly available. We offer direct communication and various online tools that guarantee fast handling of all concerns. We enjoy developing the unique potential of every one of our customers’ properties. We diligently prepare our professional property management from the start, and decisions are made based on reliable information. Together with RSM Austria Tax Consulting, we develop long-term concepts for your property upon request, in order to plan the development of liquidity and tax results. According to each property owner’s need, we plan renovations, rent properties and implement development opportunities. RSM real estate management offers you understandable information, comprehensive service, transparency and expert, solution-oriented action. Contact us by phone +43 (1) 512 54 30 or submit your questions, comments, or proposal requests.